If you have a responsive YoYo you will want to use a thicker lube, as this allows the bearings to grip a little better and provide more responsiveness (ie. the yoyo will come back up easier). If you have an unresponsive YoYo you will want to use a thinner lube, which allows the bearings to run freely against each other, creating longer sleep times and more unresponsiveness. 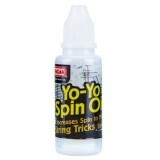 Browse our range of YoYo lube below! Thick oil for super-responsive looping tricks! Duncan's Looping Oil is thick viscosity oil.. Thin oil for longer sleep times for string tricks! Duncan's Spin Oil is thin viscosity oil.. This is One Drop's new high-end bearing lube. 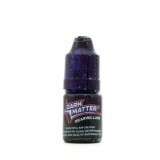 The V4M Bearing Lubricant is extremely thin..
YoYoFactory Long Spin Performance Oil is a low-viscosity (thin) lube used to maintain unresponsi..
YoYoFactory Loop/Response Performance Oil is a high-viscosity (thick) lube used to maintain resp..